The 1950s represented a decade of tremendous growth for South Florida. It also presented a lot of issues that lingered from pre-war Miami. The biggest issue was the growth of gambling in the area. Miami and Miami Beach catered to tourism, and illegal gambling was a big part of the attraction for tourists. However, with the growth of gambling, there was also the growth of organized crime. A prime example of the growth of the criminal element in Miami was the creation of the S&G Syndicate. Criminal figures from other parts of the country and the local syndicates led to national hearings by the anti-crime Kafauever Committee. The hearings were broadcast on national television and had a big impact of chasing the gambling syndicates out of the area and underground. The fight for civil rights and the resistance to this movement was also a big issue during this time in Miami. The movement would gain traction in the 1950s and grow during the 1960s. Improvements in technology and the beginnings highway infrastructure also had big implications during this decade. The early years of television and air conditioning changed what it meant to live year round in South Florida. 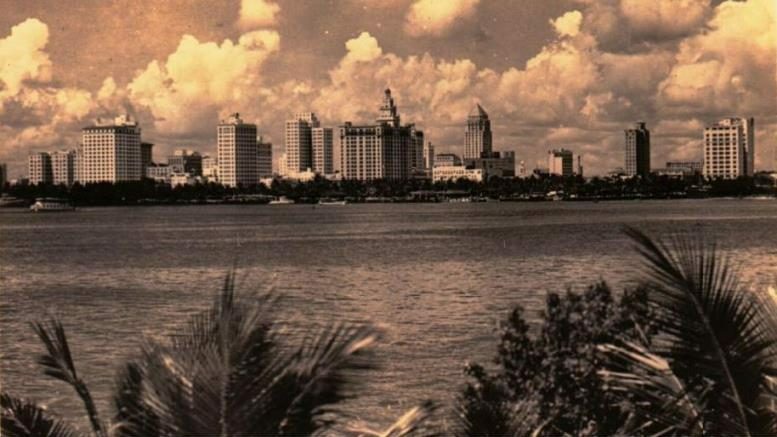 The early to mid-1950s saw a growth in tourism of Miami Beach at the expense of Miami. By the end of the 1950s, the Cuban revolution created an influx of new Cuban refugees seeking to escape the communist regime of Fidel Castro.